Our artificial Douglas Fir wreaths are unlit. These commercial Christmas wreaths comes with medium green needles and are the most traditional in design of all our wreaths. They can be used both indoors or outdoors. Chose from five different sizes. 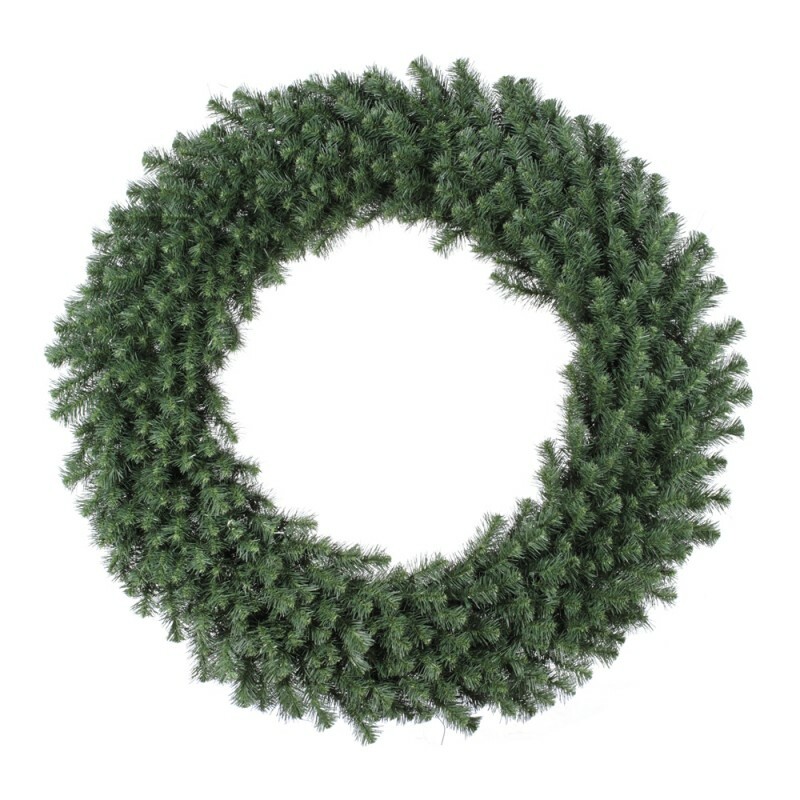 These classic wreaths coordinate with most artificial Christmas trees. The holiday wreaths have heavy duty wire rings with wire cross members connecting each ring to make a strong durable frame. The 60 inch thru 100 inch wreaths come shipped in four sections. The factory measures these artificial wreaths from the out stretched branch tip, on one side of the wreath, to the opposite out stretched branch tip.